Drinks On Tap is a social meet up for the mobile developer community. This regular event draws the best developers and designers to share what we've been working on over drinks. Join us! We are always looking for amazing demos of mobile software from companies in the Boston Area. If you're working on something that you want to show off, we want to see it. Got a cool app? 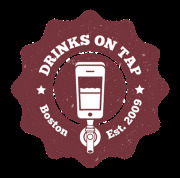 Apply to demo at Drinks on Tap.